Over a lifetime of shooting, this photo shoot has been the most emotionally significant for me. The Ward family was the recipient of a complimentary photo shoot contest I offered to launch my new website. Dozens of people submitted heart warming, heart wrenching stories via the new website . . . the most compelling story that would provide an opportunity for ‘visual story telling’ was to be chosen for the complimentary family photography shoot. I had three submissions for the Ward family, each story brought my head to my knees, hung in sorrow. As a mother, my heart ached in sorrow. Janet Ward, a dedicated mother of five beautiful daughters and devoted wife to Peter Ward, found her place in Heaven on March 13, 2013. Her passing was unexpected and sudden. Our photo shoot was six months after Janet had passed, emotions were very fragile. My goal for this shoot was to gracefully provide an image that would symbolize BELIEF. Belief that Heaven is a beautiful place, and that those that are fortunate to be there before us give us their guidance from above. Give us direction and faith and in their own way, let us know that they are with us. Us mothers know that a mother’s love lasts forever. 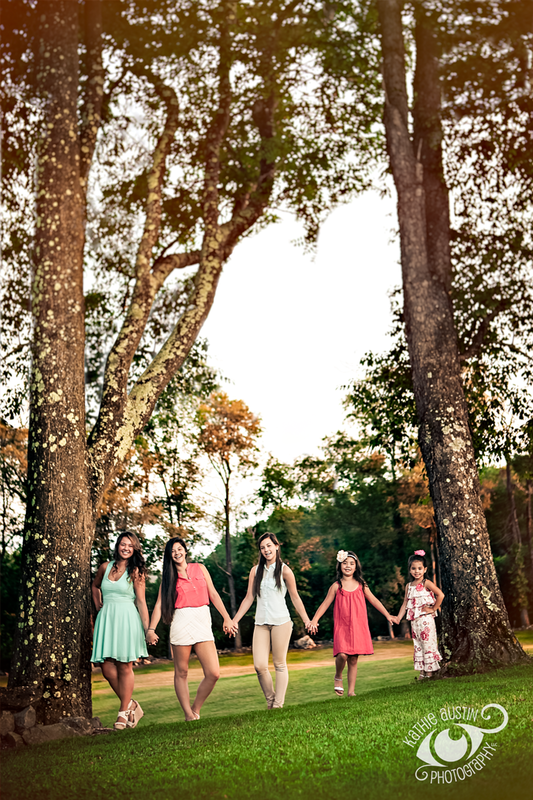 When I was processing the images, this one captivated me because the break in the tree tops naturally formed a heart in the sky, making a pathway from Heaven down upon these five motherless daughters. Yes, it was somewhat photographically enhanced to purely define the shape, but it was genuinely there in pre-processing. “Love whispers eternally through the trees, “I am with you.” BELIEF.